You know these lazy Friday evenings where you're just lying on the sofa, watching TV and craving something sweet? Obviously if that's the scenery you're too lazy to leave the house and buy something and you're waaaay to lazy to bake something. 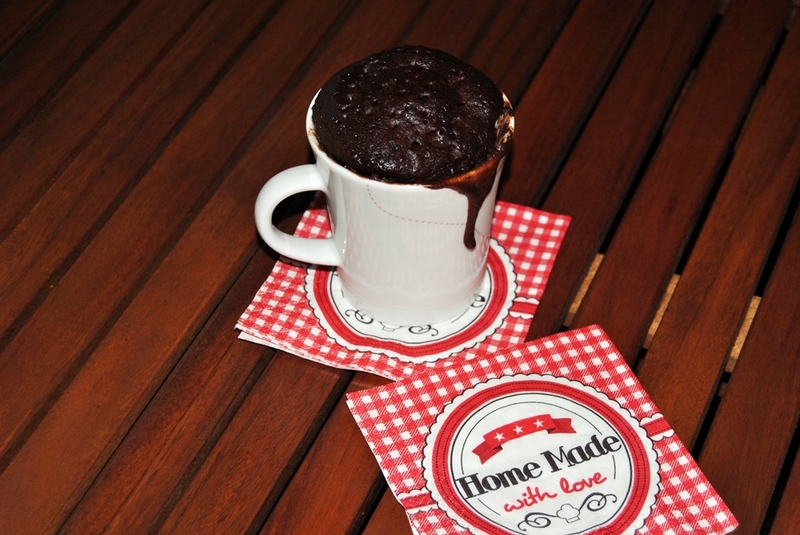 So yesterday evening that was all the case so the mug cake I had heard of came to my mind. I had never tried one because I'm always sceptical when it comes to microwave food but I decided to give it a try. The best recipe I could find was this one on Running to the Kitchen. For you I converted it into a recipe for 2 because other recipes said that 1 egg is too much for just one mug cake (and it's rather hard to divide an egg in two!). 3. Cook for 3 minutes at 1000w. 4. Serve with whipped cream or vanilla ice cream and enjoy! Let me tell you that this cake is super chunky (even though it was amazingly fluffy) so one mug is definitely enough! Also I found they weren't quite sweet and chocolaty enough. Maybe that was because I only took half of the Nutella but if you are a major sweettooth you may want to add some chocolate chips or anything that makes this recipe even more decadently yummy! For those who have tried mug cake: please share your experiences. I've tried it, it is sooo yummy! Yummy, Kalorienbombe! Sieht gut aus. Carmen, this looked so good on instagram! Thank you for posting the recipe and how to make it. I'm definitely going to try it. Sometimes I don't feel like making a big cake for ONE. And you just want a simple treat. Love this!